Balancing mind, body, and soul often feels impossible, but it doesn't have to be a struggle. Holistic healing methods with crystals can help harness energies and establish a positive and healthy lifestyle. 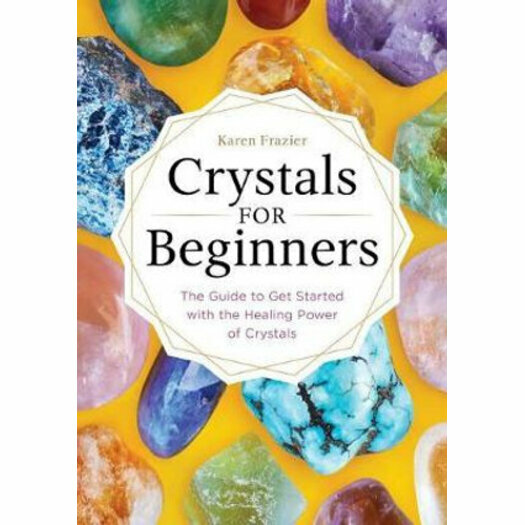 In Crystals for Beginners, intuitive energy healer and author Karen Frazier walks readers through the basics of how to become our best selves using crystals. In these pages, you'll learn how to heal, find balance and everyday wellness with crystals. Crystals for Beginners is your go-to reference guide for healing your way to greater health and happiness. Discover natural cures for everyday ailments with this crystal-clear beginner's guide.